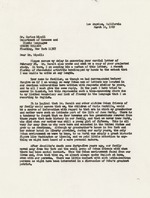 ﻿ Letter to Dr. Carlos Ripoll from Eduardo Romero, March 16, 1969. In regards to his knowledge of Martí and María Mantilla’s relationship. Letter to Dr. Carlos Ripoll from Eduardo Romero, March 16, 1969. In regards to his knowledge of Martí and María Mantilla’s relationship. ~si snot tmob d~isonst of ~ar! InusateJICI lifjE~ atwic wel~el can8 onl~5~BY ~UPass. avP~Ept through~ here) Csame~ yersW~ bago.